Bluenose marketed in North America are mainly caught in New Zealand. The average annual catch in New Zealand is 2723 mt. Between 2000 to 2008, about 410–490 mt were imported into the US. They are a long-lived deepwater fish forming a single stock fished in several management areas of New Zealand. According to stock assessments, bluenose abundance decreased between the 1980’s to 2011. 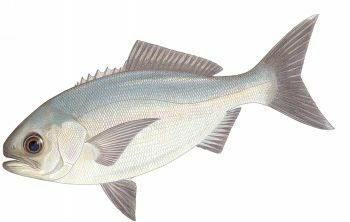 Catch reductions have been recently implemented, although it is unclear whether the population is still being overfished. Management has responded to declining catches by reducing catch limits. However, there is a lack of quantitative information regarding incidental and bycatch species which limits management efficiency. Stakeholders are given opportunities to be involved in bluenose management, and regulatory decisions are made after much consultation with the scientific community. The bluenose fishery has little bycatch as almost all the non-target species caught are retained. Of concern are albatrosses and petrels caught as part of the trawl and longline fisheries. These seabirds are classified as vulnerable by the IUCN. Bottom trawling and bottom longlining can damage habitats and organisms such as corals. Although habitat damage is restricted via catch limits and management area closures, specific habitat types within management areas are not considered.